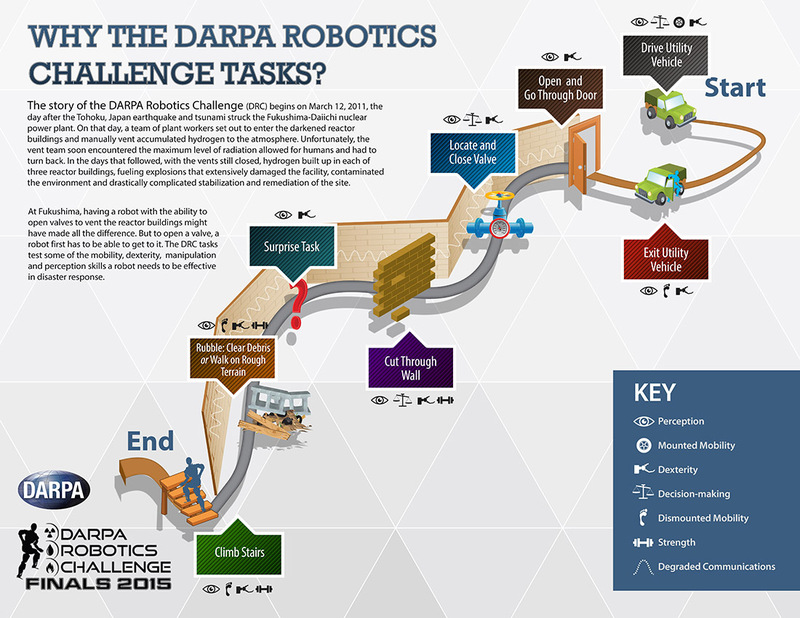 A South Korean team won $2 million dollars at the Defense Advanced Research Projects Agency DARPA Robotics Challenge held over the weekend (June 5-6, 2015) in Pomona, CA. The challenge was launched in response to the 2011 Fukushima crisis. In a disaster situation, where toxins are involved the ability to rescue human life becomes a challenge. That is where robots come in and can navigate through obstacles and help rescue lives. 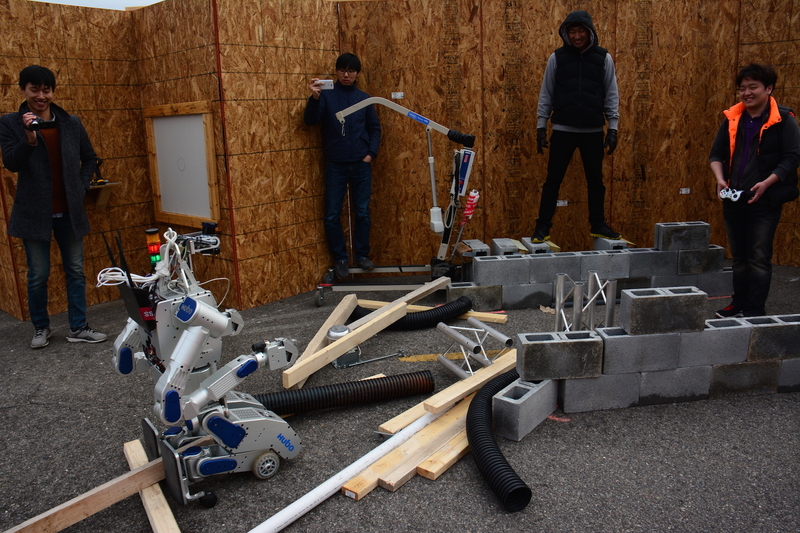 Robot DRC-Hubo or “Transformer” from Korea Advanced Institute of Science and Technology (Kaist) of Daejeon successfully completed the task course to win the first place. HUBO stands for”HUmanoid roBOt” that was developed since 2002. Two American teams won the second and third prize at the competition. The second place of $1 million went to the “Running Robot” from IHMC Robotics of Pensacola, FL. The third place went to CHIMP from Tartan Rescue of Pittsuburg, PA, who won $500,00. There were 8 tasks assigned to the robots. Two of them were surprises. “One of the secret challenges required the robots to take out and put back a large black plug, requiring a high level of dexterity,” reports Wired. 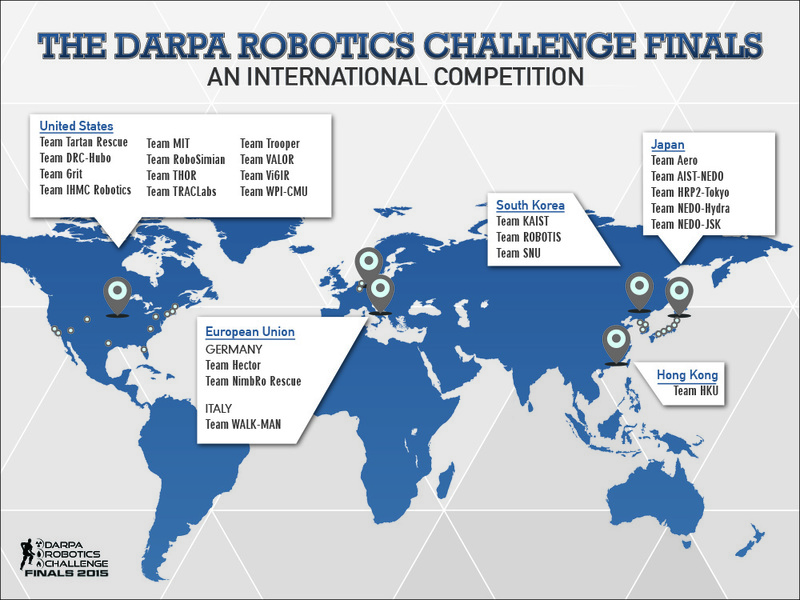 23 teams from aroound the world particpated in the DARPA Robotics challenge.